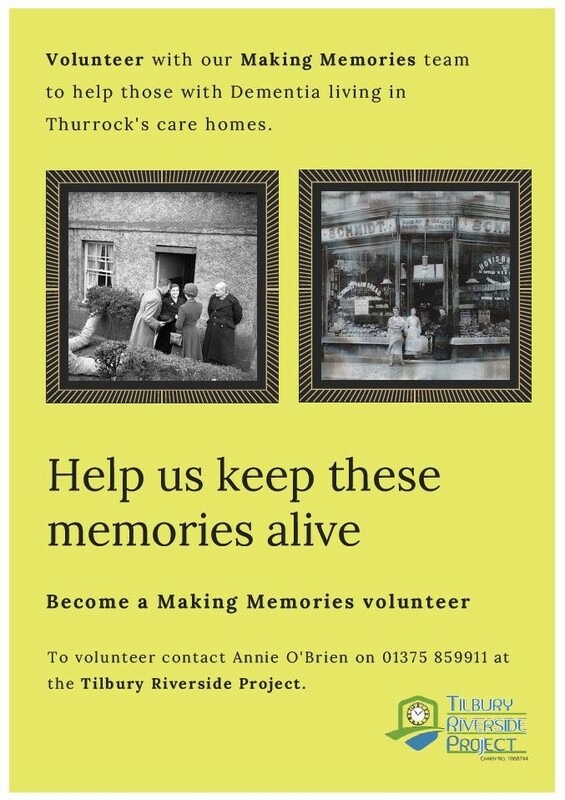 The volunteer-led ‘Making Memories’ project connects local volunteers with older people living in Thurrock’s care homes who would benefit from talking to someone about their early memories. Launched in 2015, the project is now seeking new volunteers so they can increase the number of people they can help and provide more individual memory making sessions. “Dementia can be frightening and isolating. There is no cure. However, research suggests that talking about early memories can improve the physical and mental wellbeing of those with Dementia. “Following my retirement I wanted to give something back locally as I’ve lived in Thurrock all my life. “As a Making Memories volunteer, I regularly visit several older people in care homes to help them reconnect with memories they feel may be lost to them. We do this by creating a memory box which uses old photographs of items they remember from the 40s and 50s. We spend between one to two hours reminiscing about events and people that are important to them. Following an initial chat about what’s involved, volunteers will be invited to a training session to learn more about how Dementia affects people and how to start conversations to unlock memories. The next session is 24 January 2017 at the Tilbury Riverside Building. Shadowing of current volunteers will also be available. All volunteers will be expected to commit to regular visits to individuals in Thurrock’s care homes, but full support will be given. Sessions can last between one to two hours and on days of your choosing.